Creativity as the hallmark of imagination challenges orthodoxy. In a warped social system therefore, the artist is emotionally disturbed. That appeared to be the state of mind of the novelist, Chinua Achebe, in the perverted social system in Igbo land – when Western religion and culture through the instrumentality of colonialism embarrassingly encroached on the people’s traditions. This thesis traces the several emotions of the artist that precipitated the trail brazier in Nigerian literature: Things Fall Apart. The thesis insists that anger, rage, fear, panic, despair, anxiety and resistance that gave birth to the creative engagement manifest themselves in the book. It therefore concludes that emotional disorders are dependable allies in creativity. Achebe hated the imposition of English language on his people. It may perhaps, be the one passion behind the “Igbonization” of English at the levels of religion and culture to ameliorate the damage done to Igbo tradition. Though things fall apart, “Ani, the earth goddess and the source of all fertility,” remains the “ultimate judge of morality and conduct. And what was more, she was in close communion with the departed fathers of the clan.” (p.26) The lexicon has to reflect the culture of the Igbo people to ensure credibility of the story and that of the personal integrity of the artist. 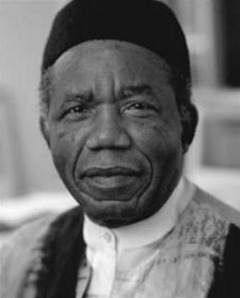 As Achebe puts it “…the past needs to be recreated not only for enlightenment of our detractors but even for our education.” (Achebe “The Role of the writer”: 158) Achebe’s temper before the creation of Things Fall Apart was that of an artist in search of truth obliterated by the colonial detractors. But emotion of defiance is impetuous to creativity. In any emotion, there could be several acts that may include speech and imitation of nature called mimesis. 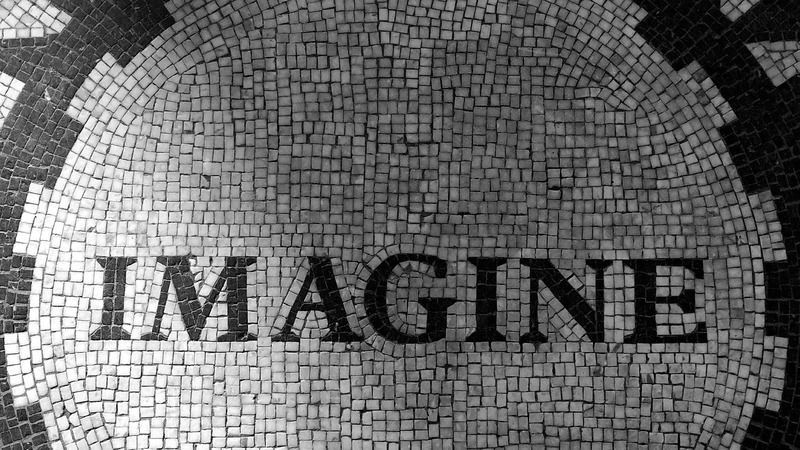 Imagination as a mental operation may be in the visual form. In such a case, the artist may be involved in self-movement – kinematic imagery. It seems therefore, that Achebe’s inner feelings or linguistic thought on the submerged culture of the Igbo were automatically retrieved in his mind. The human mind according to Merlin Donald engages “self-trigger recall from memory in two ways: by means of mimetic imagination, and by the use of word symbols, either of which could be overt or covert.” (Donald: 15) Achebe’s imagination on the conflict between Igbo culture and Western culture came in word symbols –hence the novel that chronicles the history of the Igbos under colonialism in Nigeria from 1850-1900. That feeling of unreality or panic attack is represented in the brutality meted on Abame in the novel and it is meant to confirm the stories told of white men in Africa and to assert that the African ways of life are rooted in tradition and belief. The idea is further authenticated by the Oracle. In an attempt to give voice or meaning to his intense feeling, Achebe as an intellectually gifted individual not only expresses self but the collective feelings of others. The anxiety, fear and apprehension experienced as an artist in Igbo society are part of the evolution in the traditional society. But as has been stated by Liane Gabora, “the bottleneck in cultural evolution is the capacity for innovation.” (Gabora: 5) The consequence of the conflict between African and Western cultures is the creative output in form of a novel. Achebe’s in-depth knowledge of his culture and his mastery in transplanting his emotions in the indigenous people and the foreigners alike make actions and reactions in Things Fall Apart quite realistic. The realism of life is further accentuated by the decision of rulers and elders in Mbanta to ostracize those among them that embrace Christian religion. Such a collective decision has semblance of rage. Distortion of cultural heritage is one thing that sharpens the writer’s social vision in Africa. When Okonkwo asks Obierika, “Does the white man understand our custom about land?” (124) he speaks the mind of Achebe. “To Achebe,” says Koffi Awoonor, “the African world before the arrival of Europe was a well-integrated one, with dignity and honour…As a story of the tragic encounter between Africa and Europe, [Things Fall Apart] is an attempt to capture and restate the pristine integrity which has been so traumatically shattered by the confrontations.” (Awoonor: 252) Obviously, the state of mind of an artist who watched the happenings was that of anger, rage, and despair. When he writes with social commitment, the artist simply reminds us of what happened and how he felt it at the time. The creative product may touch some aspects of the social life he found repulsive, his eyes were watching the bigger issues of foreign culture and religion forcefully imposed on his people. Achebe’s state of mind could not have been directed at the foreigners alone without looking back at those aspects of social life he considered denigrating in his own society. Consider the many actions of Okonkwo built around fears – from the beating of his wife at Week of Peace to the killing of Ikemefuna and later his suicide. Achebe demonstrates through Okonkwo the consequences of breaking tradition. The writer makes his hero remorseful for his actions either by repentantly appeasing the gods, willingly going on exile or choosing to commit suicide – an act sanctioned by the goddess of earth. Other aspects of the Igbo customs that do not meet the expectations of Achebe as a writer from within the society include the European inclined culture imbibed at Abame and Aninta “where titled men climb trees and pound foo for their wives,” and the growing practice in marriage that turns their customs upside-down. In such an encounter that looks incomprehensible or foolish in Igbo society is known to engender innovation. As Vincent van Gogh rightly puts it, “one must expect it to cause a struggle, especially a struggle with oneself, because sometimes one literally does not know what to do or what not to do. But isn’t this struggle – and even the mistakes one may make – better, and doesn’t it develop us more than if we systematically avoid emotions. The later thing is, in my opinion, what makes many so-called strong spirits into nothing but weaklings in reality.” (van Gogh: 1) Achebe’s defence of the Igbo customs is in high spirit: “They do not decide bride-price as we do, with sticks. They haggle and bargain as if they were buying a goat or a cow in the market.” (51) The novelist’s mood changes according to situations to reflect the sense of abnormalities in the land. Those aspects of social life that engender excitement need to be retained. There is wisdom in the episode on Ezinma identified as ogbanje. Achebe’s creative potential recognizes that aspect of Igbo tradition. In ecstasy, Okagbue performs the rites to uncover the smooth tiny pebble hidden deep in the red earth. As the source of pain and distress to a mother the discovery of the buried iyi-uwa has religious and cultural implications for our generation. When Ezinma acknowledges that the dug out pebble in the hand of the medicine man is her own, “All the women shouted with joy because Ekwefi’s troubles were at last ended.” (60) The temper that generated this aspect of Things Fall Apart is rooted in excitement. It expresses Achebe’s happiness that European culture in spite of its devastation is unable to obliterate that part of our cultural heritage. It is in that light we are to see the indestructible nature of Igbo’s oral tradition that forms the bedrock of the entire novel. Indeed, “When the moon is shining the cripple becomes hungry for a walk.” (7) In a way, the oral tradition was critical to Achebe’s creativity. Achebe probably created Okonkwo deliberately to expose the weakness of our leaders in the confrontation with the white man. Lack of a well coordinated approach on the social crisis by the chiefs could have been responsible for the large converts among the subjects. This failure is exemplified by Okonkwo whose action according to Charles Nnolim “is not tempered by reasoned dialogue with himself or his peers; too much in a haste to inquire into the whys and consequences of things; too proud to show love and affection; too afraid of being thought weak.” (Nnolim: 20) The chiefs could be patriotic in rejecting foreign culture and religion but at the same time some of their actions challenge tradition. That was a source of worry to Achebe as a writer. He therefore created Okonkwo as a failed leader of his people so as to highlight his weakness for future generations to avoid the same mistake of the past. Okonkwo no doubt was “one of the greatest men in Umuofia” but had to kill himself instead of waiting to be killed by the invaders. Unfortunately, the act of suicide is an abomination in Igbo society. It must be acknowledged that psychologically, Okonkwo’s reality of himself as a man and an Igbo man for that matter is distorted by the many calumniations on African culture. Peter Fonagy’s study on psychoanalysis of violence posits that a man whose personal identity is modified by certain forces may have trouble in differentiating reality from fantasy, and physical from psychic reality. As a result, he is restricted to instruments that manipulate him rather than communicative or signal use of affect. He concludes, “This instrumental use of affect is a key aspect of the tendency of violent patients to express and cope with thoughts and feelings through physical action, against their own bodies or in relation to other people. Such physical action may well come to involve various forms of self-harm or aggression towards others.” (Fonagy: 2) This is the fate of Okonkwo that may not be too far from Achebe’s vision as an artist –that those Africans culturally suppressed and were unable to realize their identity were forced to express themselves, using violence. No other book written in Europe except that of Joseph Conrad’s Heart of Darkness perhaps, has a better account of how economic gain was the driving force for colonialism in Africa. But Chinua Achebe thinks other wise. He describes Conrad’s story as defective. In particular he says, when viewed from proper perspectives, Marlow’s discomfort at lying to Kurtz, the indices of morality are not enough to counter the sufferings of Africans in episodes such as the “grove of death.” The African writer concludes, The Heart of Darkness is a product of a “bloody racist” with little sympathy for oppressed Africans. (Achebe Massachusetts Review: 18) And no other writer in Africa has painted the picture of how the white man disorganised African values in the name of Christianity other than Chinua Achebe in Things Fall Apart. Such an artist could hardly admit “pacification” as the motive for white men in Africa but a crude disorientation of existing values in situations of abnormalities. The emotional disorders in Achebe at the time could hardly produce a literature of laughter devoid of pain, anger, panic, despair, and resistance. That emotional turmoil was enough to create Things Fall Apart to contradict the white man who claimed he was in Africa to pacify the people. Achebe, Chinua. Things Fall Apart. 1958. London: Heinemann, 1962. Writing. Evanston: Northwestern University Press, 1973. ______ . “An Image for Africa.” Massachusetts Review, 18 (1977): 782-94. ______ . Morning Yet on Creation Day. Memetics –Evolutionary Models of Information Transmission 1 (1997). Killam, G.D. The Writings of Chinua Achebe. London: Heinemann, 1969. Van Gogh, Vincent. “Letter To Theo van Gogh.” The Hague, c. 11 January 1883. Mr. Omoha studied B.A. English at the University of Jos, Nigeria and holds a Master degree in English Literature from Benue State University, Makurdi, Nigeria. The oral defence of his PhD thesis: “Poetic Madness in African Literature” is on the list at the University of Jos. He won the 1988 Radio Moscow International Poetry Prize and his first collection of poetry: Funeral Without Death was shortlisted for the 1991 Association of Nigerian Authors’ Poetry Prize. His latest prose work, The Verdict of History: A Biography of Major-General Chris Abutu Garuba was published in May, 2008. He currently heads the Department of English, Yobe State University, Damaturu, Nigeria. …(case in point) lest he be considered a weakling like the past generations of Igbo men…which generation? by whom? again, there’s, Okonkwo’s suicide allowed by the goddess and suicide; abomination in Igbo land. and i hate that when I saw the Temper before Things fall apart title, I expected to see something ‘before’ plus, the abstract was a bit misleading…thought it would be about Acbebe’s creativity and all. however, the sources cited are good ones.